High water pressure for the shower and sink. No dribbles from those fixtures! Very well-positioned for an overnight stop as close to motorway. Good that you can get a meal and drinks there as quite far from town centre. The rooms were fairly basic and in need of modernisation, but reasonably clean with big comfortable bed. Simple, clean and perfect to stay a night on the way of a trip. The bed was good but the noise from other guests was awfull. It lasted in the middle of the night from 03.00 till nearly 04.30........so that was very very bad. There is no staff left after 23.00 in the hotel so we could not ask for some help to quiet the guests. We suppose they were sporters , coming back from a winning game. It's ok, have your party if you like to but not in a hotel and without making so much noise, cries, yelling, smoking and talking so loud that all the other guests were awake????? The price for dinner and breakfast were quite high. Convenient exit from and access to Motorway. Very basic small dark room with reasonable size comfortable bed. Handy for the motorway whilst traveling back from Austria avoiding the mad German traffic. Has a small restaurant but a McDonald's 5 minutes away was good for the children. This was our second stay and we returned especially for the restaurant, which is good. However our main of rabbit was a tasteless disappointment. The service was very good. Selected for proximity to the motorway to break up the drive south, worked perfectly. Room was comfortable if basic. One of our best sellers in Nancy! Campanile Nancy Ouest - Laxou is located in the outskirts to the north of Nancy, close to the main motorway and 1.6 mi from Zenith de Nancy concert venue. Free Wi-Fi access is provided in the guest rooms and a buffet breakfast is prepared daily. Each guest room has a desk, coffee and tea making facilities and a flat-screen TV with Canal+ and Canal satellite channels. The private bathroom has a bathtub and hairdryer. 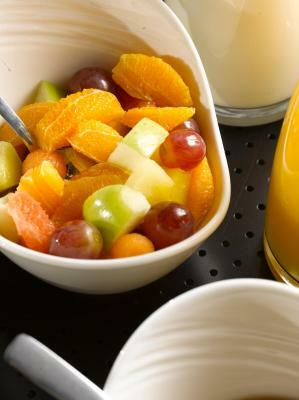 A continental, buffet breakfast is available every morning at the hotel, for a surcharge. For lunch and dinner, traditional French specialties are served in the restaurant. The restaurant is open every day and you can dine on the shaded terrace. One of the main attractions in Nancy is the Place Stanislas that includes its very own Arc De Triomphe and is located 3.7 mi from Campanile Nancy Ouest - Laxou. In the city center, you can also visit the Botanic Gardens as well as the many public gardens. When would you like to stay at Campanile Nancy Ouest - Laxou? 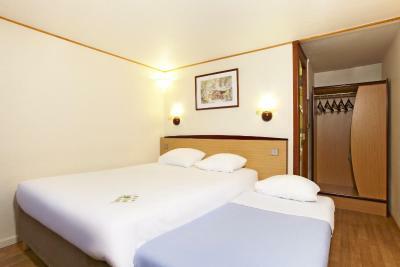 Campanile offers comfortable rooms with high-end bedding and free WiFi access. With our menus inspired by Chefs and our unlimited buffets, our Campanile restaurants welcome you daily for breakfast, lunch and dinner. You can also share warm and friendly moments in our lounges. Should you wish to organize your seminar in one of our hotels, you will benefit from a spacious and fully equipped meeting room. With more than 400 hotels in France and Europe, you will feel like home everywhere! House Rules Campanile Nancy Ouest - Laxou takes special requests – add in the next step! Campanile Nancy Ouest - Laxou accepts these cards and reserves the right to temporarily hold an amount prior to arrival. Room 22 smelt of smoke. Not a good noise isolation in the room: constant noise from above and from Motorway immediately outside front window. Breakfast was below basic standards and too expensive for what it offers. Would prefer a room at the front rather than the rear where a little motorway traffic could be heard. The surroundings are not very exciting. The Paupiette de lapin. Also the breakfast is very expensive. This.campanile has not (yet?) Been renovated. Old bathrooms, bedroom too. No cookies...haha. but I do think that paying over €80 for one person is really not worth it. The staff, specifically the woman (Maud) who both checked us in and functioned as the waitress in the hotel's restaurant, seemed to have a strong antipathy toward English speakers. From the time we were seated for dinner, it took her 20 minutes before taking our order. There were only two other couples in the small dining room. Our food did not arrive for almost 45 minutes after that. The cocktails we ordered when placing our food order arrived with dessert. When my wife asked her when the main course food was coming, Maud replied "I'm busy." and walked away. A cook, Alexandre, even came out to help her. Bulletin for Ms. Maud: FIND YOURSELF ANOTHER JOB. YOU STINK AT THE ONE YOU HAVE! I was there and the person who talk with, said to me that i have to go in another hotel because there was a problem. I am very disappointed. I had to go in 24 h to find another place to stay. Hotel a bit tired and worse for wear. Bedroom and bathroom need updating. Bathroom tiles dirty. Bed uncomfortable. Restaurant and bar did not open until 7pm. Not a lot,the decoration is very tired,room 10 smells terrible people had smoked, all we were given was an air freshener, which done nothing ,the basin in the bathroom was badly cracked all in all dreadful. To top it all an ash bin was positioned right by the door.